Stichting Promotie Hulptransporten naar Roemenië en Bulgarije: Brand in de pastorie van Getz. Dit trieste bericht ontving ik gisteravond van Attila, gelukkig is er geen persoonlijk letsel. I want to share a really sad thing with you. I think you know, I am a presbyter of the church . 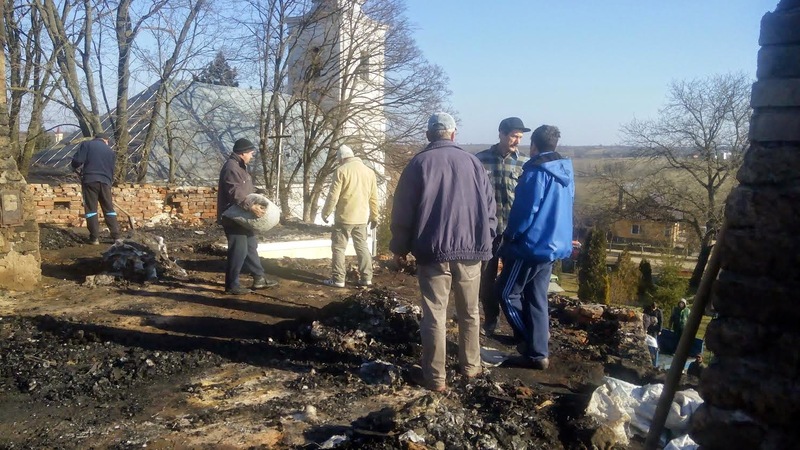 The roofing of the vicarage(where live Paul with his family) and the boiler house burned down. Thank God, Paul and his family are well. Please,pray for us because this situation is really hard for everyone. Truly, hier de link naar meer foto's. Wie aan Paul e.o. Attila een bericht wil sturen dit zijn hun gegevens. Gepost door Maarten Koel op 8:57 a.m.